Sunday morning! Lazily, as I took the paper into hand, shocking news stared at me: “Linguist Bhadriraju Krishnamurthi dead”. Sorrow overtook me. What a coincidence! Murray Barnson Emeneau, Emeritus Professor of Linguistics and Sanskrit at the University of California, Berkeley, the longest lived indologist and anthropological linguist of great distinction of the 20th century, at whom Prof. Krishnamurti looked upon as a Guru of the true Indian gurukula tradition, died in his sleep in the early hours of August 29, 2005, and his Sishya, Prof. Krishnamurti died in the early hours of August 12, 2012 at the age of 84. Memories continued to swarm my mind. It was in the year 1970 that I met Dr. Krishnamurti for the first time. It was mid summer. I was waiting for him in front of the imposing building of Arts College, Osmania University, where his Dept. of Linguistics was located. Hardly there were any trees around; even if there were any, they were denuded. The surroundings were dotted by dried stubs with hard rocks protruding in between. The sun was beating straight on the head. There was a certain silence all around—don’t know if it was because of my waiting for giving the test, Michigan State University English Language Test, or it was a mere silence of the summer holidays. Suddenly I noticed a Fiat car coming to a halt in front of the building. There came out a tall man in suit with a pipe in mouth. Unconsciously, a mild, perhaps mischievous, smile flashed itself on my lips. From no where a peon jumped towards him to pick up the leather bag from his hand and lead him into the building. Guessing he must be the Professor for whom I was waiting, I also followed them - of course, maintaining a safe distance from them. After a while, the peon led me into his chambers. It was pitch dark inside. It took a few minutes for me to get a clear picture of the surroundings. After my formal greeting, he made me sit in front of him. Making me feel at home, he slowly started his business, the business of testing my skills of conversing in English. A fat lot good that I heard of him as a linguist of repute from Linguistics Dept of Annamalai University—received Ph.D. in linguistics for his work on “Telugu Verbal Bases: A Comparative and Descriptive Study” under the direction of M.B. Emeneau from the University of Pennsylvania; established the Dept. of Linguistics in Osmania University; brought out the first Mandalika writtipadakoosum (a Telugu Dialect Dictionary of Occupational Vocabulary), Vol. I - Agricultural Vocabulary, under his editorship in 1962; published an influential paper, “Comparative Dravidian Linguistics” and presented a paper on “Dravidian Nasals in Brahui” in a Seminar on Dravidian Linguistics held in 1969 at Annamalainagar, organized by the Dept. of Linguistics, Annamalai University— when I visited it as a student on educational tour from Bapatla, was still weighing on my mind. But surprisingly, he never exhibited that aura to put me down. On the contrary, the conversation between us flowed on as though I am conversing with an old teacher of mine. Later, he of course, administered the written test too. But what is still fresh in my mind is the ease with which I was made to answer his questions, at times even contradicting him vociferously, though it was for the first time that I met him, that too for giving an examination. 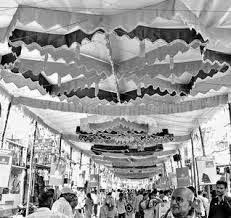 Of course, my life then took a different turn and in that “Niruddesya Jatra” I happened to return to Hyderabad for a new job. As a part of that job a need had arisen for me to go and discuss with Prof. Krishnamurti in 2007 about a project that our Academy wanted to take up. By then, Prof. BhK (as his followers fondly call him) had further grown in stature, both as an administrator and as a linguist: he retired as a Vice-Chancellor of the Central University, Hyderabad; wrote a book, The Dravidian Languages that was published by Cambridge University in 2003, which incidentally replaced Cladwell’s one hundred and fifty year old A Comparative Grammar of Dravidian or South Indian Family of Languages as an authoritative book of reference on the Dravidian languages; proposed a new school of thought by adding a sub-family, South-central Dravidian under which he grouped Telugu, Kannada and Kui languages, to the already existing three families, viz., South Dravidian, Central Dravidian and North Dravidian languages; published a concordance of Tikkana’s Mahabharata, tikkana padaprayooga kosam Vol. I in 1971 as its editor; published Mandalika writtipadakoosum (a Telugu Dialect Dictionary of Occupational Vocabulary), Vol. II - Handloom Vocabulary in 1972 under his editorship; elected as honorary member of the Linguistic Society of America in 1985; had been a visiting professor of Linguistics at several world universities; received the prestigious fellowship of Sahitya Akademy from Prime Minister, Manmohan Singh in 2004; elected as a Fellow of the Royal Society of Edinburgh, UK in the year 2003; and by consensus, considered as India’s foremost living linguist. Yet, I had no hesitation of whatsoever to go and meet him for two reasons: one, my experience of interacting with him in 1970 was still fresh in memory, and, two I was going along with my professor, Prabhakar Rao garu though the topic we were to discuss was mindboggling: developing and publishing an etymological Telugu-English dictionary under the aegis of the CP Brown Academy. Accordingly, one winter evening, as winter was shying to make its entry into Hyderabad, we went and sat with him for quite long seeking answers to many of my doubts, which were obviously unending as I had no knowledge of whatsoever of starting a project to bring out a Dictionary except that I had a strong urge to learn about it. He patiently answered me for long, while Mrs. Krishnamurti treated us with her kind hospitality. It was a treat to listen to him even on such technical subject. As we were getting up to take leave of him, he then gently enquired about my background. That is his culture—a teacher to the core and only knows how to guide whoever seeks his guidance, unmindful of their background. This relationship of meeting him once in a while and discussing about Telugu language and various problems associated with its development, of course, as a part of my role in the Academy, continued for another three to four years. What is most impressive about his personality is: though he is curt in his replies, he is accommodative in listening to others’ argument and accepting it if there is a logic in it—his academic stature never came in the way of others’ freely arguing with him and winning his confidence too. To be with him is highly educative, for so enthusiastically he shares his accumulated knowledge with the people around him. There is a live force in whatever he says. That might at times intimidate listeners. Yet, it is always educative; at least that’s what my experience had been. 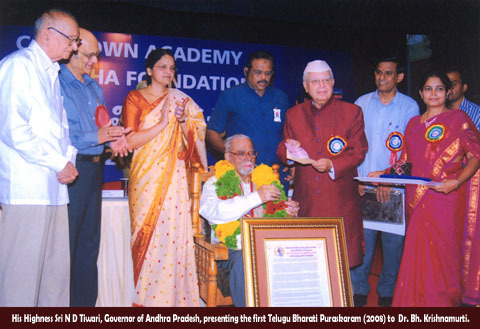 When the jury comprising 10 eminent scholars from the field of Telugu literature , constituted by CP Brown Academy to select a person for conferring Telugu Bharati Puraskaram for the year 2008, assembled to select the first awardee, it hardly took any time for the jury to come out with the name of Dr. Krishnamurti. Such was his towering personality. And true to it, he roars out, be it a discussion about historical linguistics, Dravidian linguistics or Telugu literature. What a memory he had—he can recite poems of Tikkana or Srinadha at the slightest provocation. He himself was a poet with a voice of his own. With Prof. BhK’s death a glorious era of linguistic studies in Telugu language in particular and Dravidian languages in general, has come to an end. His scholarly output is, however, sure to inspire the future generations. As I fondly reminisce about these thoughts, I realize how very fortunate I was to have spent a few meaningful minutes with this great scholar! 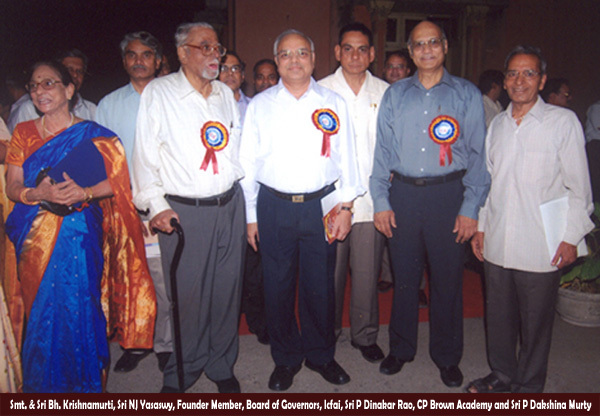 Excellent article on the Great Teacher and Literary Giant Prof.Bhadriraju Krishnamoorthi. Thanks for posting such a great article about Krishnamurthy Garu..He is really a great Literary Giant also a Great Human as i knew him personally.Thanks a lot once again !